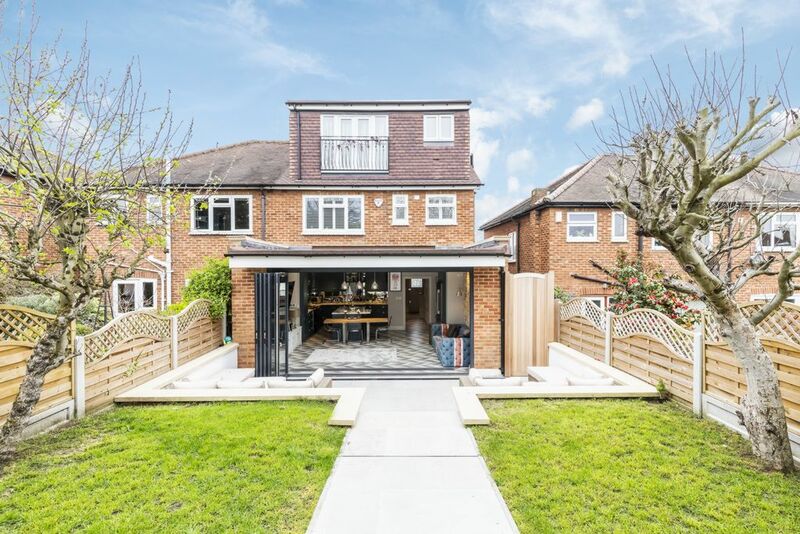 A simply stunning three / four bedroom semi-detached property which has been totally transformed from top to bottom. 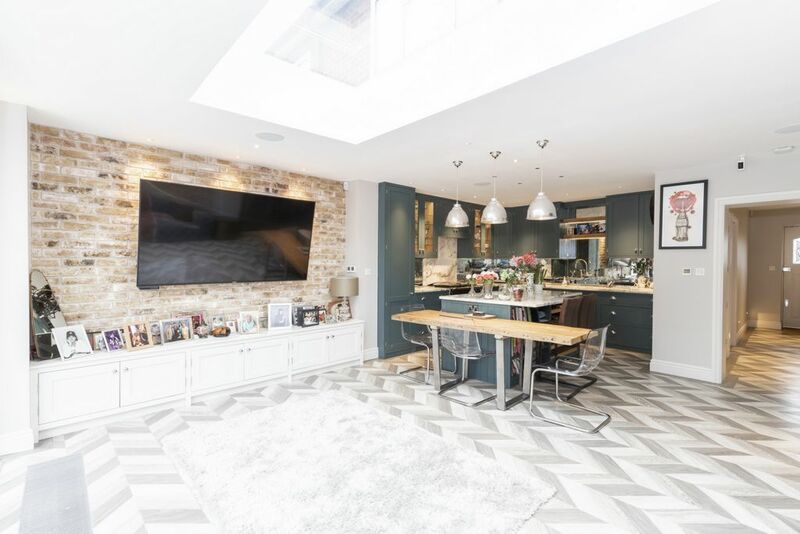 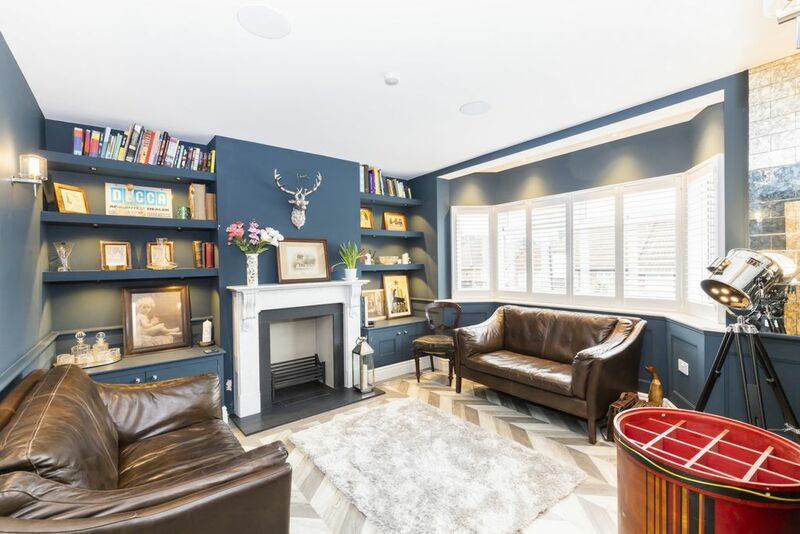 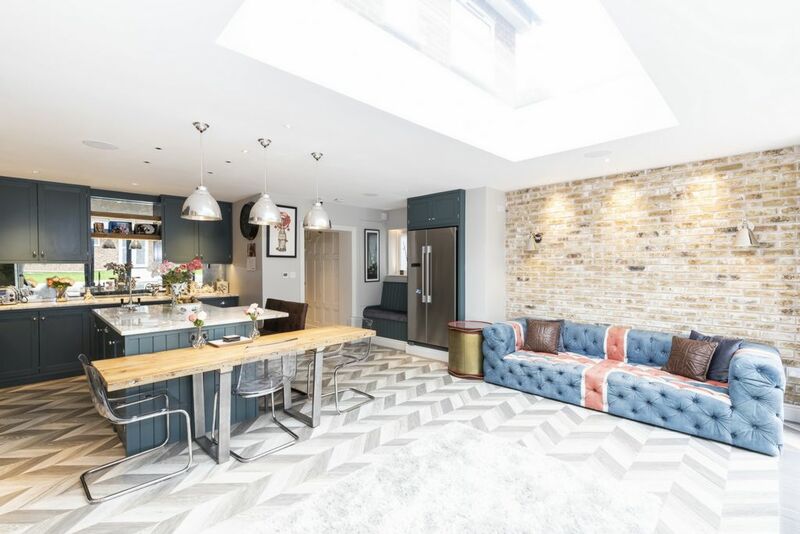 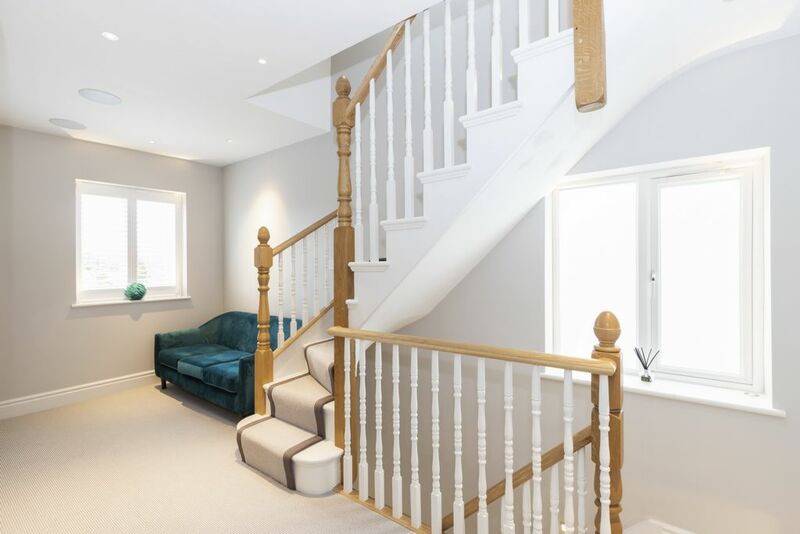 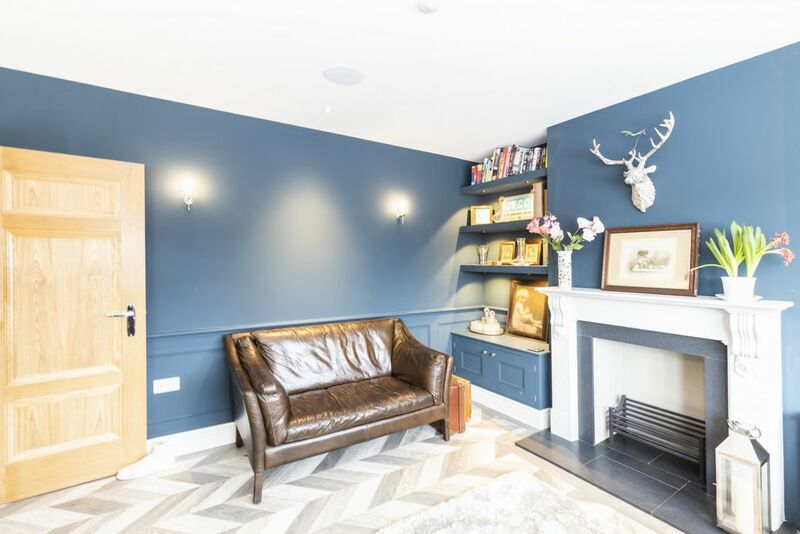 The owners have created a wonderfully stylish, but practical family home, with accommodation over three floors, and extended to the ground floor. 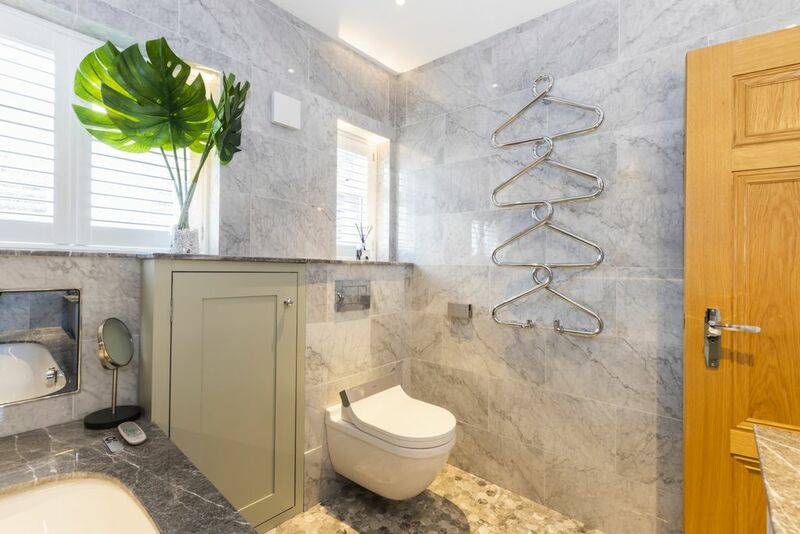 The house has been finished with the latest high quality fittings, and can only really be appreciated by an internal viewing. 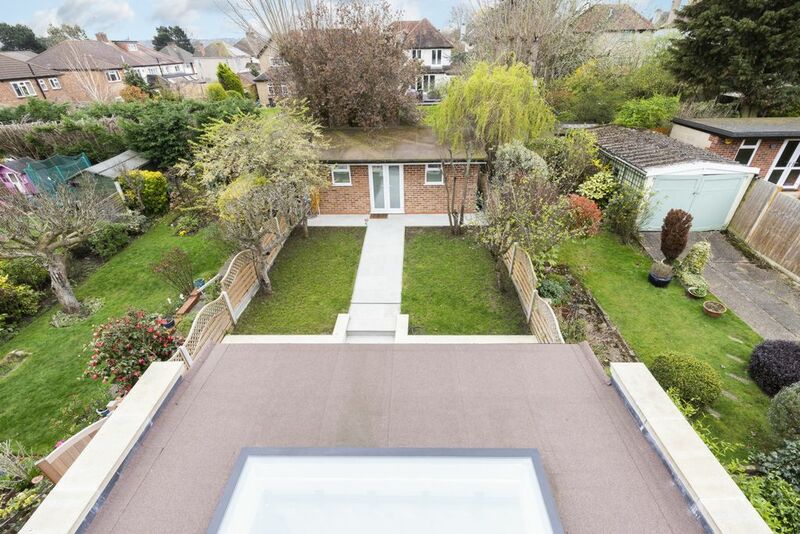 Dene Road is a quiet no-through road, ideally positioned just a short walk from Buckhurst Hill Central Line station. 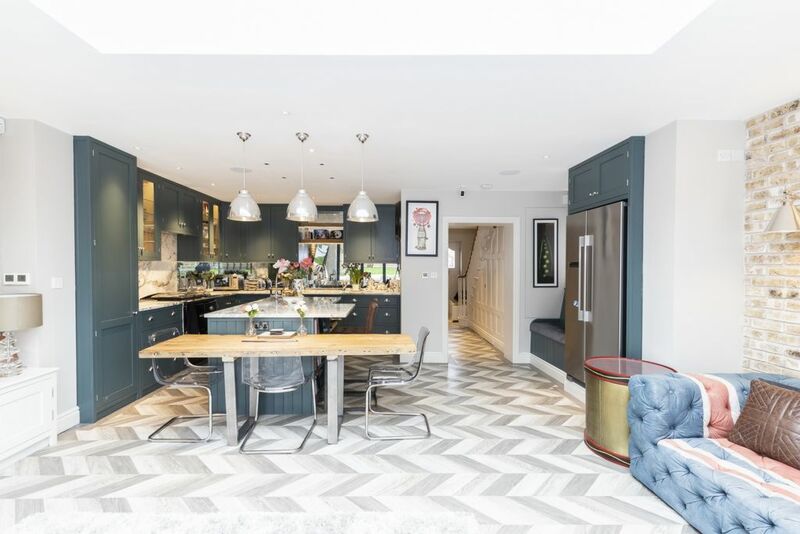 The boutique shops, cafes and Waitrose of Queens Road, and local state and independent schools are also close by. 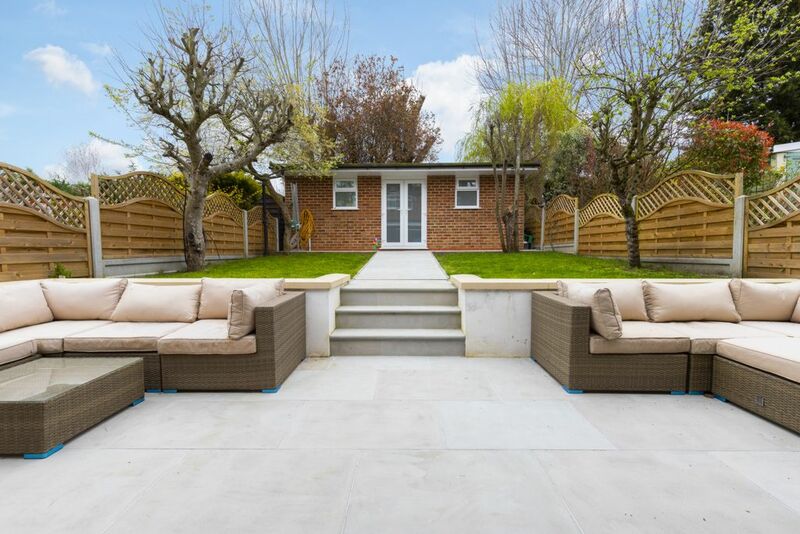 Buckhurst Hill is a particularly sought after area, being conveniently located for access to the City and West End, easy access to the major road networks via the M11 and M25, whilst still being a quieter location with Epping Forest and the Roding Valley Nature Reserve on the doorstep. 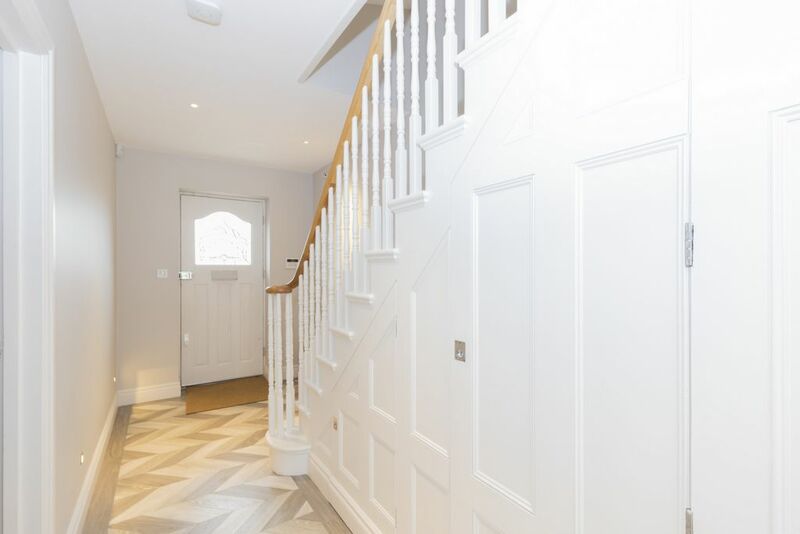 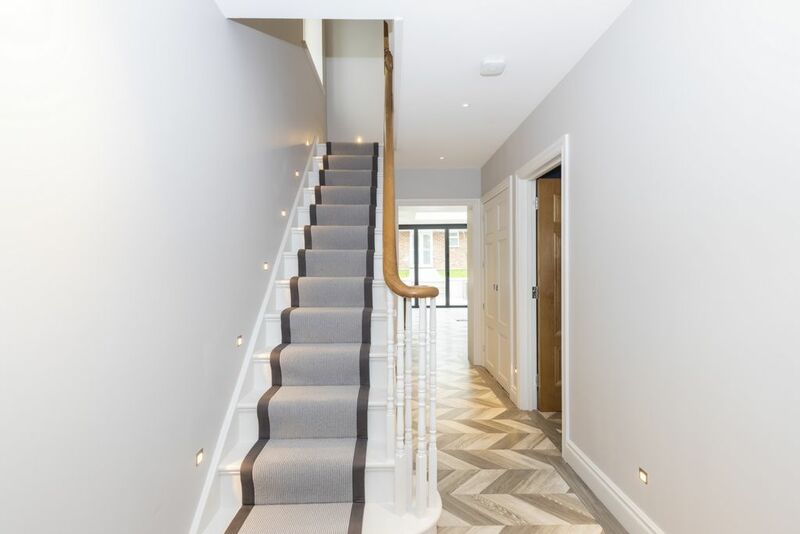 The ground floor accommodation commences with a stylish entrance hall with Amtico flooring and underfloor heating, which continues throughout the house. 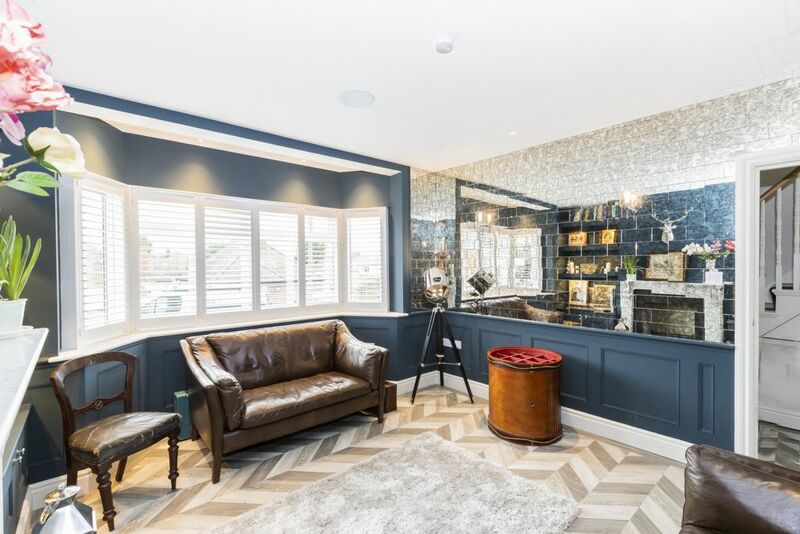 The lounge is a stunning room with open fireplace, bespoke storage to the alcoves, cafe shutters and feature mirrored wall. 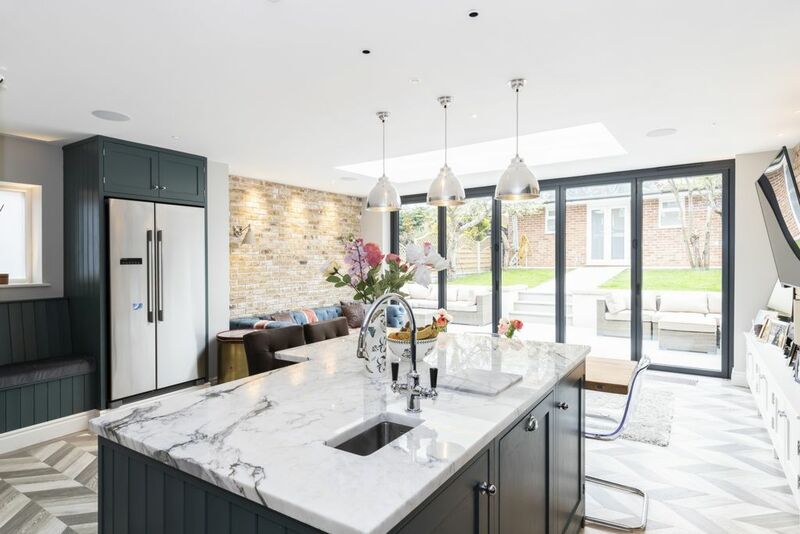 The rear of the house has been extended and opened up to create a superb open plan kitchen / living space. 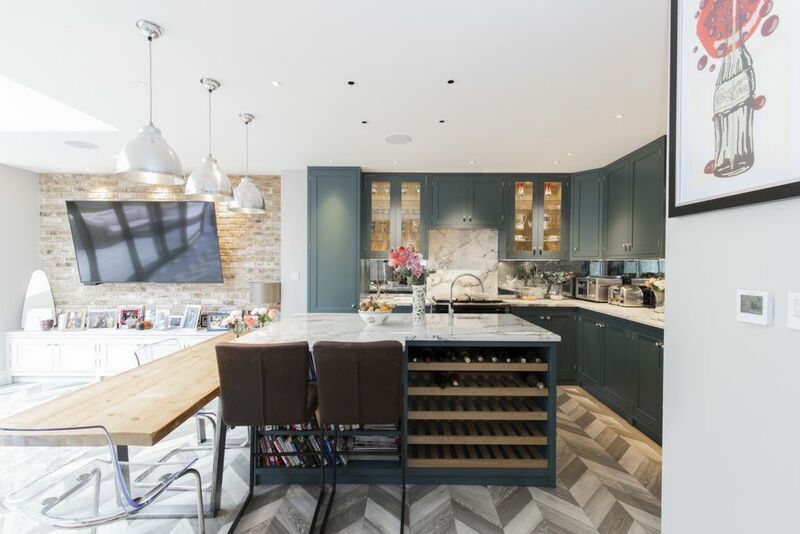 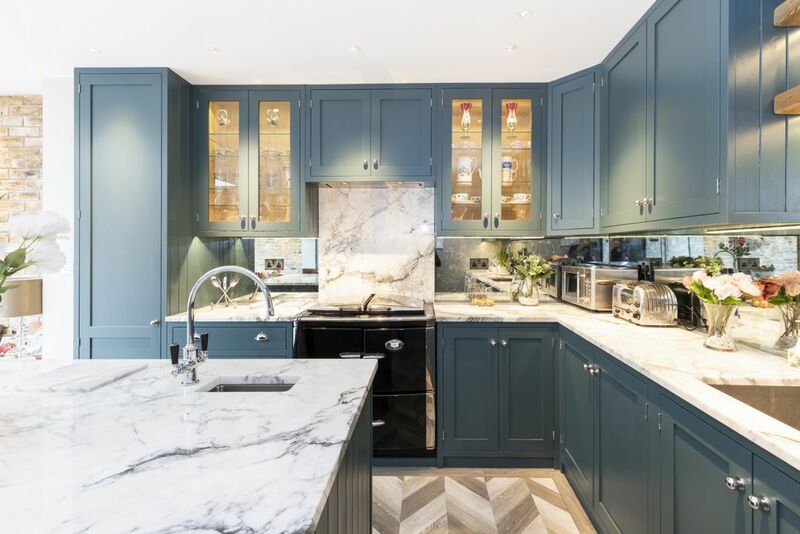 The kitchen area has bespoke units with marble work surfaces, island and Rayburn range. 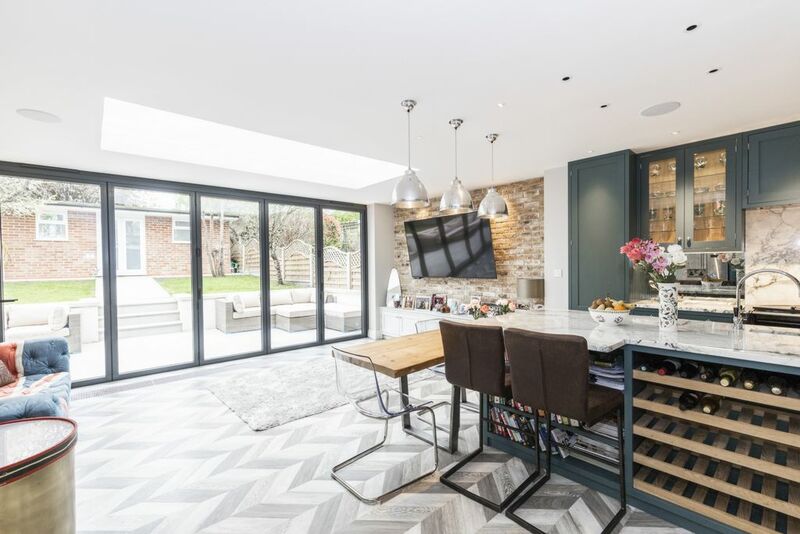 The living / dining space has been designed to maximise the natural light with lantern skylight and south facing bi-fold doors. 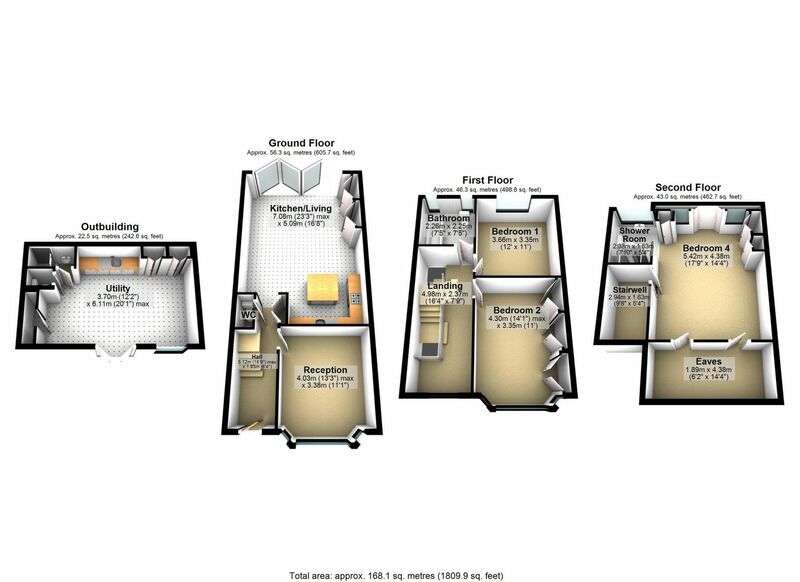 There is also a guest cloakroom and plenty of built in storage options on this floor. 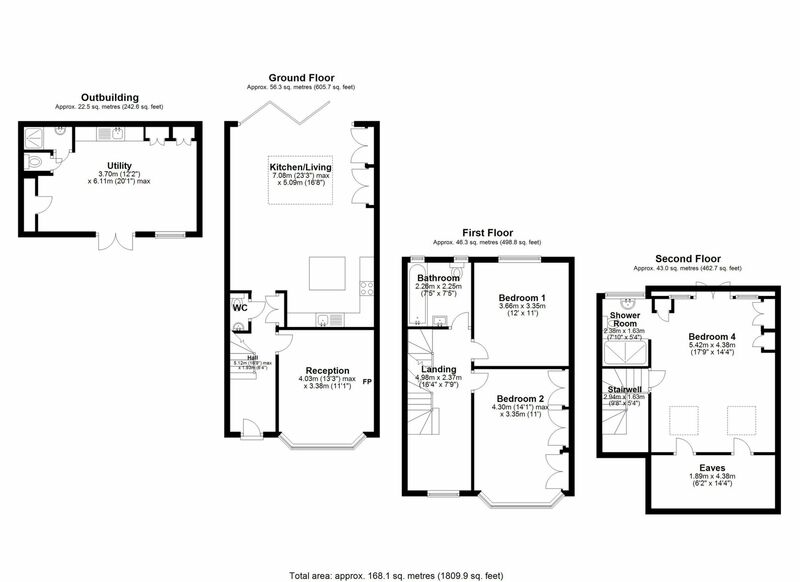 The first floor is presently laid out with two double bedrooms, principal bathroom, and a large open landing which could be converted back to offer a fourth bedroom. 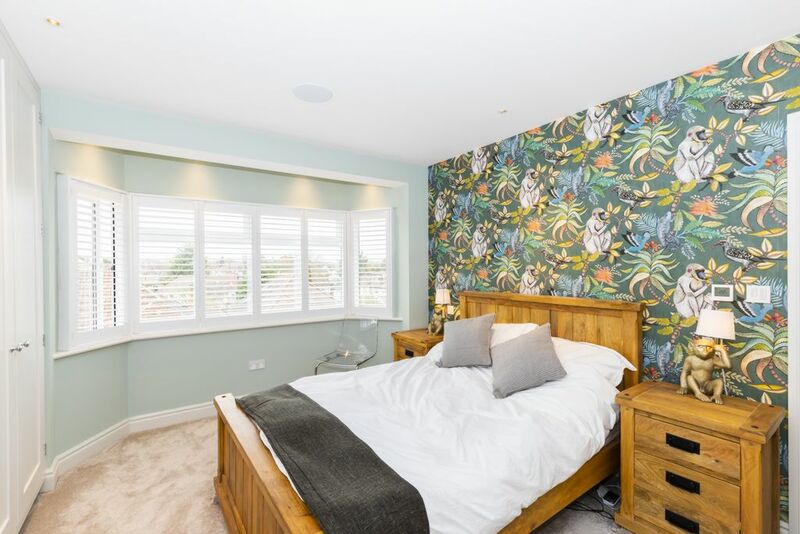 The two bedrooms are beautifully presented with cafe shutters, fitted wardrobes and distinctive decor. 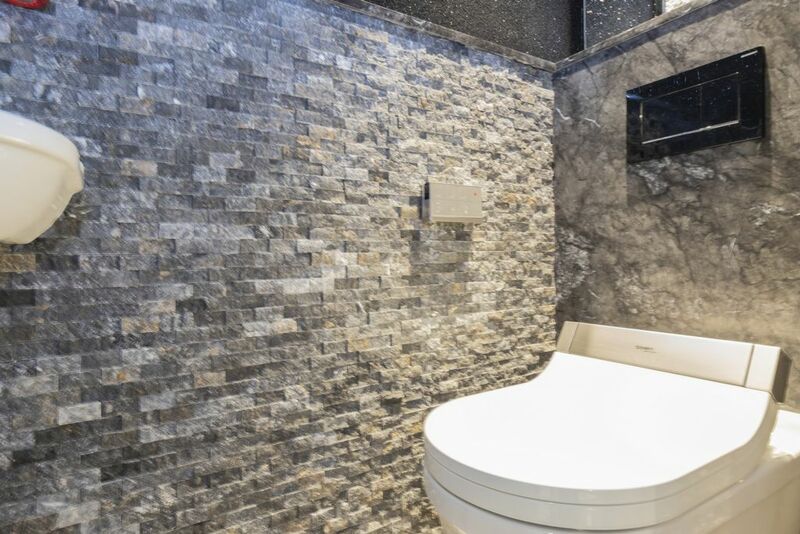 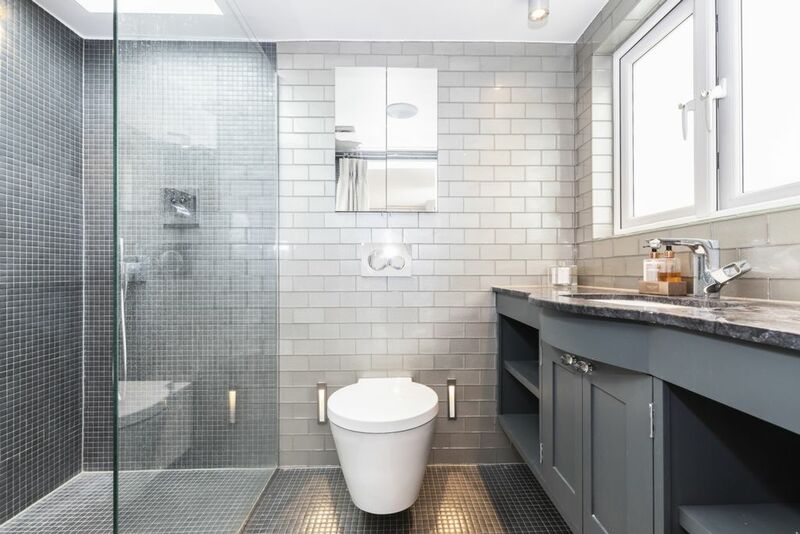 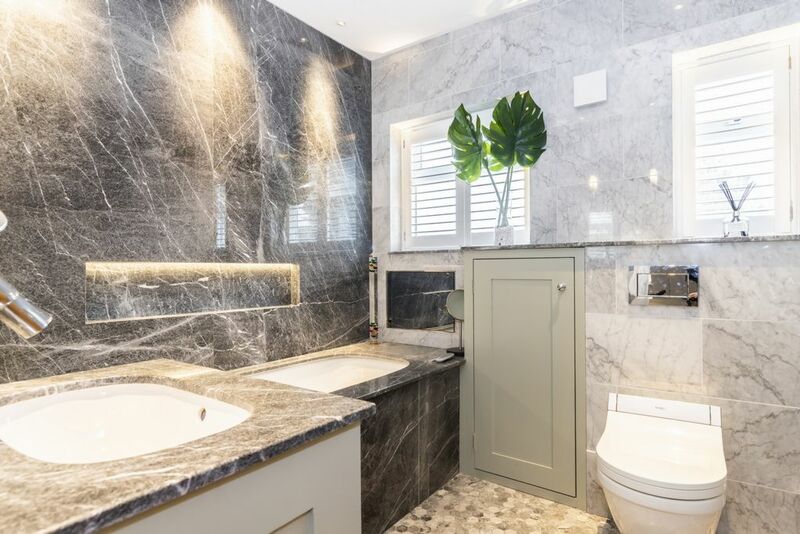 The principal bathroom offers a touch of luxury with Duravit suite with inset bath with marble surround and tiling, built in TV and Hans Grohe fittings. 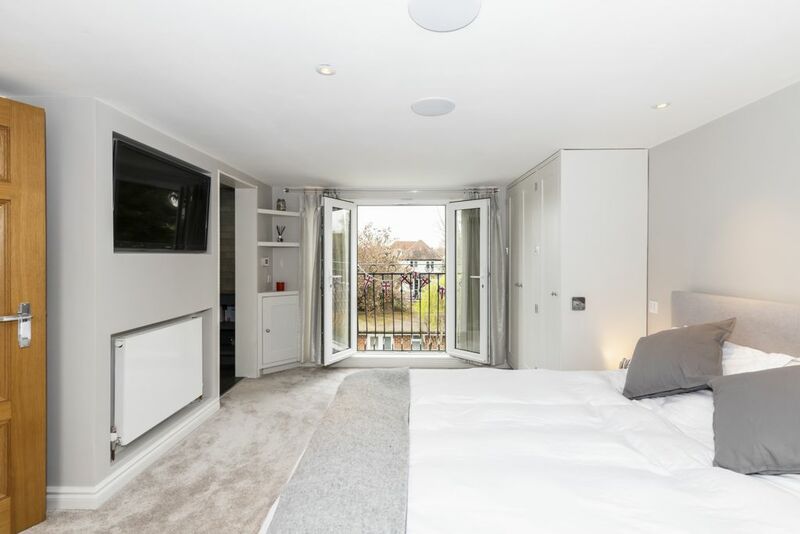 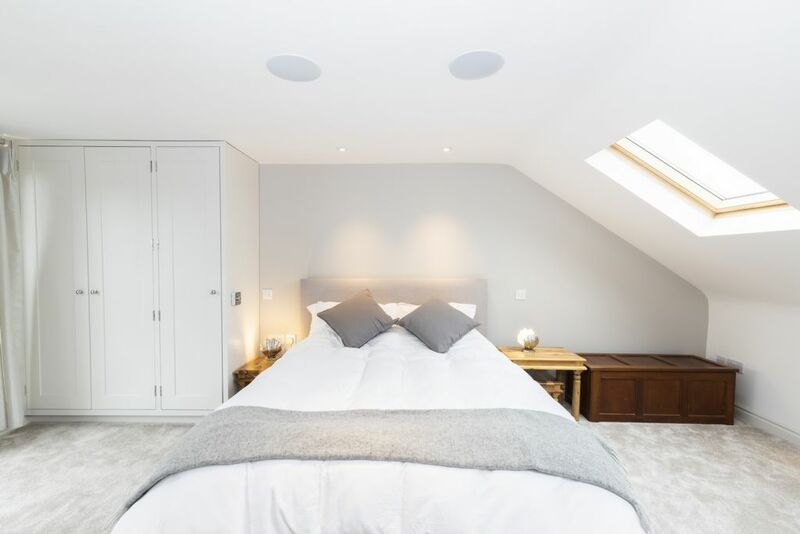 The top floor offers the master bedroom suite, a great size room with double doors and Juliette balcony, fitted wardrobes, eaves storage and an en suite shower room with similar quality Duravit fittings and a feature skylight. 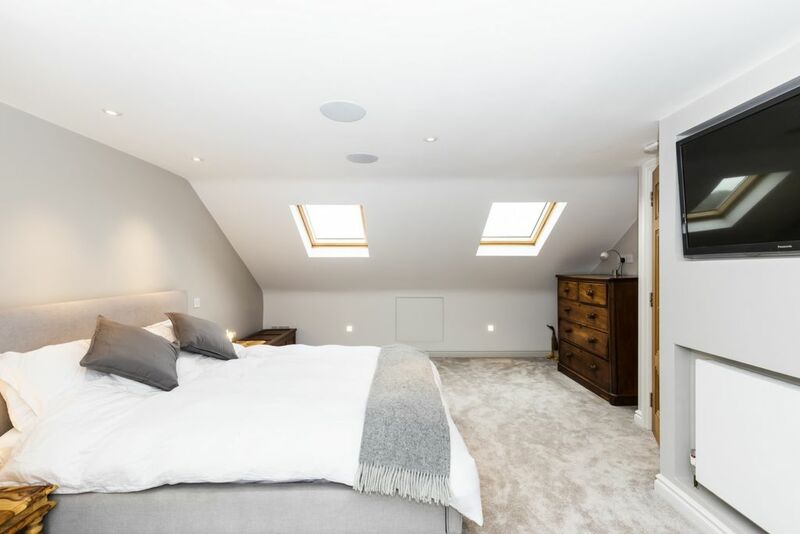 Further features include a Lutron smart lighting system, B&W integrated speakers, underfloor heating, replacement roof, wiring & plumbing. 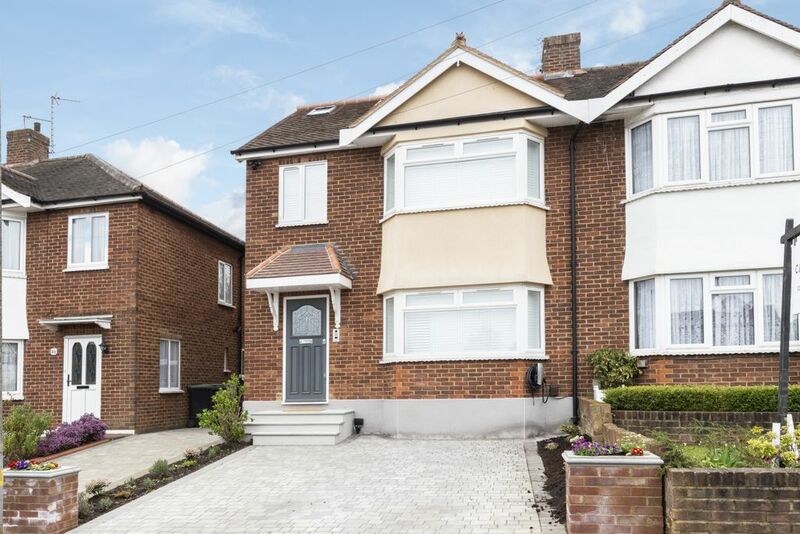 The front garden is predominantly block paved for parking, with flower borders and a shared driveway to the side. 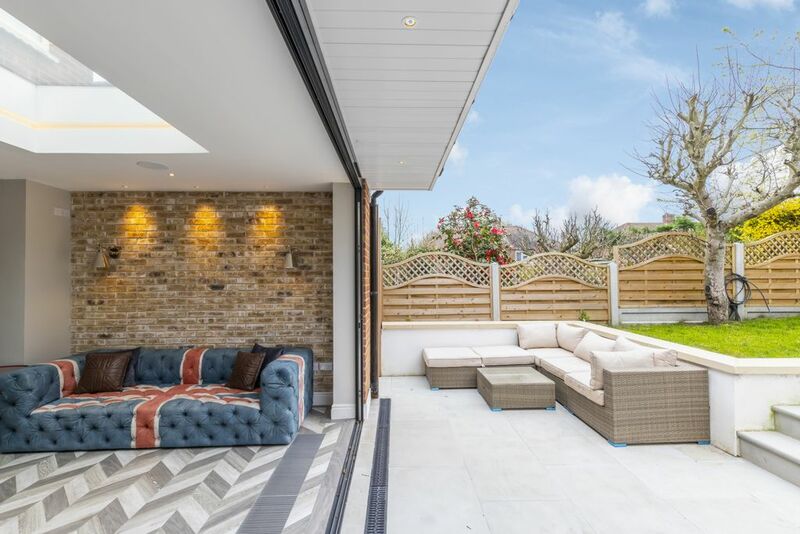 The rear garden is landscaped with sunken patio, lawn and to the rear is a brick outbuilding which houses the central heating boiler and cylinder for the house, shower room / utility room and with space for appliances. 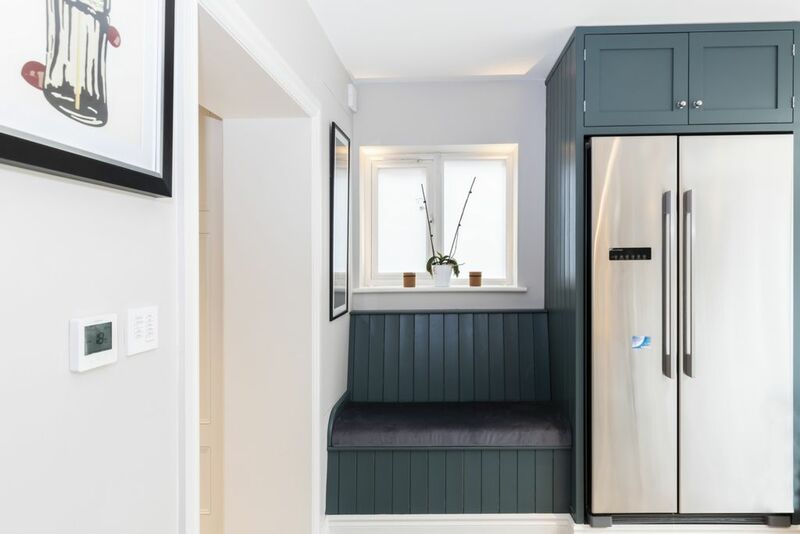 Can also be a perfect work from home space.